To disseminate a knowledge of zoology and an appreciation of animal life. To maintain a zoological garden where small mammals, birds, reptiles, amphibian and tropical fish will be on display for observation and study. Through local facilities readily accessible to all of Staten Island, to instill in children an understanding and appreciation of living creatures. To provide lectures and facilities for group meetings devoted to the study of natural history. 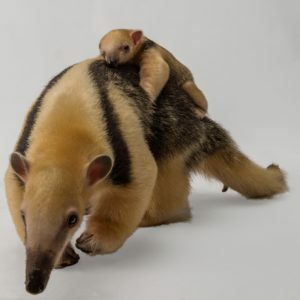 The Zoo’s collection has nearly doubled over the last two years and features over 350 species of mammals, birds, reptiles, amphibians, fish and invertebrates from six of the world’s seven continents. A leader in wildlife conservation, the Zoo maintains more than 70 endangered or threatened species. It participates in breeding programs and education to highlight the plight of vanishing wildlife throughout the world. Significantly, the Staten Island Zoo has been accredited by the Association of Zoos and Aquariums (AZA); only 225 of 2,800 licensed exhibitors are accredited by AZA. AZA-accredited zoos and aquariums, leaders in the protection of endangered species, participate in the Species Survival Plan Program™ (SSP), which is a long-term plan involving conservation breeding, habitat preservation, public education, field conservation, and supportive research to ensure survival for many of the planet’s threatened and endangered species. 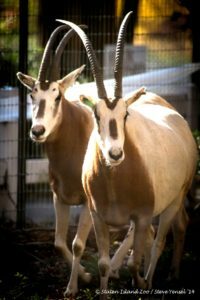 The Zoo is an avid participant in the SSP Program, most notably in its care for Amur Leopards, the world’s rarest big cat, and the Scimitar Horned Oryx, a species now extinct in the wild. The Staten Island Zoo is a destination for some 200,000 annual visitors. The Zoo’s education programs are hugely popular, and each year host nearly 60,000 school-aged youths eager to learn about the natural world and their role in its conservation and preservation. Dedicated to its founding mission in 1936 as an educational institution, the Staten Island Zoological Society remains at the forefront of weaving effective education programs into its cultural role as a place of adventure, discovery, and fun for all age groups. It’s absolutely true that there’s always something NEW at the Staten Island Zoo. An array of new exhibits has captured the attention and imagination of the public. Amur Leopard Habitat: 4,500 square feet of naturalistic outdoor environment for the world’s rarest big cat. Conservation Carousel: an attraction of 25 hand-carved animals representing many endangered species from around the world. The Sahara Exhibit: A visit to Africa’s great desert, where Ostriches, a Southern Ground Hornbill, and Scimitar-Horned Oryx roam. Aquarium: Construction is now underway to replace the Zoo’s 40-year-old aquarium with a state-of-the-art immersive World of Water exhibit, opening later in 2017. The Staten Island Zoo showcases an extensive calendar of presentations, exhibits and programs throughout the year. 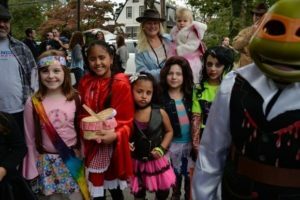 Our Spooktacular in October is Staten Island’s premier Halloween-themed family event, attracting 4,000 people during the two-day show. Winter’s Breakfast with Santa and his wildlife friends, complemented by Springtime’s Breakfast with the Bunny, are both sold-out family-friendly attractions. In addition, the Zoo presents a 5-week Summer ZooFari adventure, filled with entertaining discoveries for youngsters. For adults, the Zoo offers exciting fund-raising initiatives, including the Zoological Society Benefit; Golfari golf-outing, and Jazz Night, a musical evening festivity that closes the Summer season. More people than ever are discovering what the Wall Street Journal called New York City’s “BEST” small zoo. 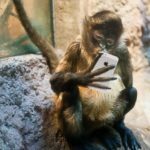 As Zoo attendance has swelled, website traffic also has increased substantially, reflecting the growing interest and enjoyment of the zoo’s Social Media presence and programming. The Staten Island Zoo loves communicating with its members and visitors. The Staten Island Zoo is proud of and grateful to its many sponsors and supporters. Only 30% of the Zoo’s operating budget is provided through government funds. The remainder is generated by attendance and other fees, as well as our fund-raising efforts. On behalf of the dedicated Zoo staff and volunteers and all our animal inhabitants, the Staten Island Zoo invites you to visit, support and learn more about our exciting initiatives. 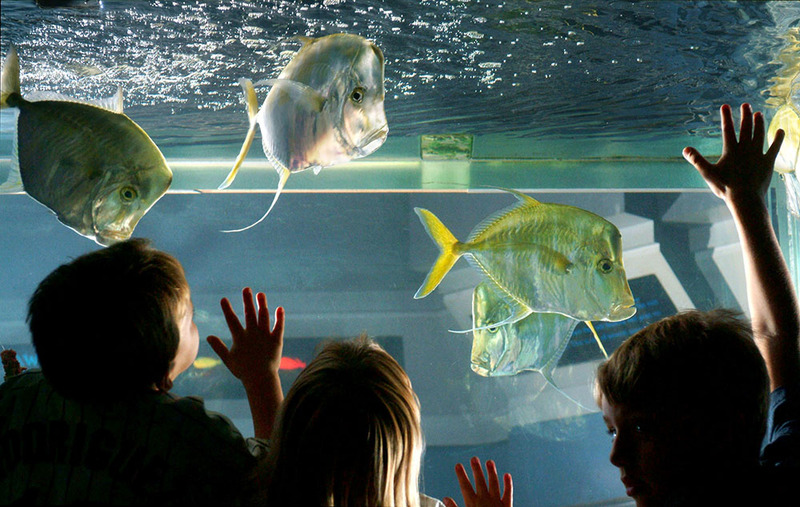 In 2018, the Zoo’s Aquarium will be completely renovated as a breath-taking floor-to-ceiling exhibit to immerse visitors in the life cycles of the seven seas. The renovation will be completed with capital funding provided by the City of New York. The Staten Island Zoo is a 501 (c) 3 not-for-profit corporation.